The FT-Bh subcompact hybrid has an aerodynamic design and low weight to cut fuel consumption. 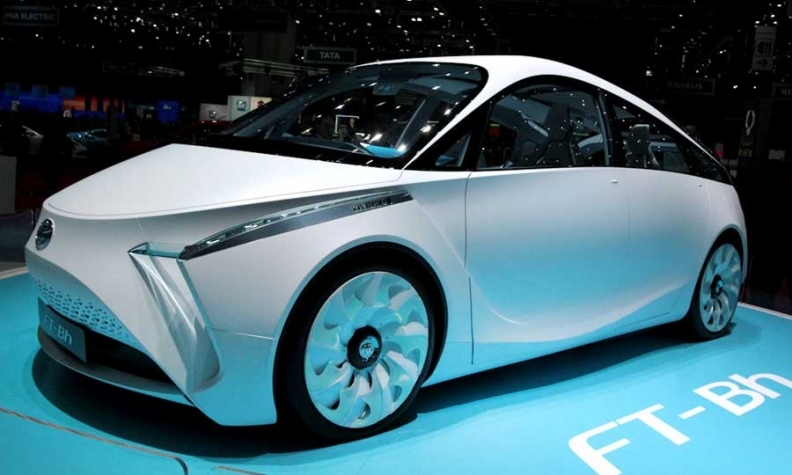 Toyota may build its ultra-frugal FT-Bh small hybrid car, a senior executive told Automotive News Europe. The concept is similar in size to the Yaris subcompact but its CO2 emissions of 49 grams per kilometer are about half the level of those produced by a Yaris powered by a 1.0-liter gasoline engine, Toyota said. Power comes a newly developed two-cylinder, 1.0-liter gasoline engine that weighs about 60kg and is combined with an electric motor. The concept uses 2 liters of fuel per 100km (134.5 UK mpg). Toyota said it cut the concept's weight to 786kg, compared with the 1.0-liter Yaris's 1,030kg kerb weight, using a combination of high-tensile steel, aluminum and magnesium in the car's construction. The concept is aerodynamic, with a drag coefficient figure of 0.235cD, compared with a sector average of 0.29cD. According to Toyota, the car's innovations are capable of reaching production. "It's only a concept car at this moment, but my expectation is that beyond 2015 and before 2020 it will be built," project manager Koji Makino told Automotive News Europe. Didier Leroy, CEO of Toyota Motor Europe, said the fuel economy was achieved at a cost-level appropriate for a high-volume subcompact. "One year ago we challenged our engineers and designers to come up with a small super-efficient car at an affordable cost. This shows what can be done when every aspect of the car is designed to reduce emissions," Leroy said.